This article explores five reasons leaders struggle with accountability and what you can do to create an accountable culture where people feel supported to do their best work. If the leader can’t articulate what success looks like, the employee won’t know how to meet the expectations. For example, I often work with executives who are unhappy with performance, and they are clearly frustrated, but they can’t quite pinpoint what kind of change they need the employee to make. 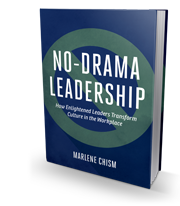 The tell-tale sign of a lack of leadership clarity can be heard in the leader’s language: “My employee has a bad attitude.” A bad attitude is a perception, which may be based on inaccurate information. What to do: Get crystal clear on what is happening that should not be happening or vice versa. You’ll know you are clear when you can articulate the observable behavior. For example, the employee comes in late every day. Or, the sales rep slammed down the phone. Your manager rolled his eyes when you were facilitating the meeting. You can only correct what you can articulate. The very word “accountability” can provoke fear. Often when we talk about “holding people accountable,” we infer that accountability is a whipping stick to promote compliance. The problem is this: Whipping sticks don’t motivate excellence, and compliance does not equal commitment. 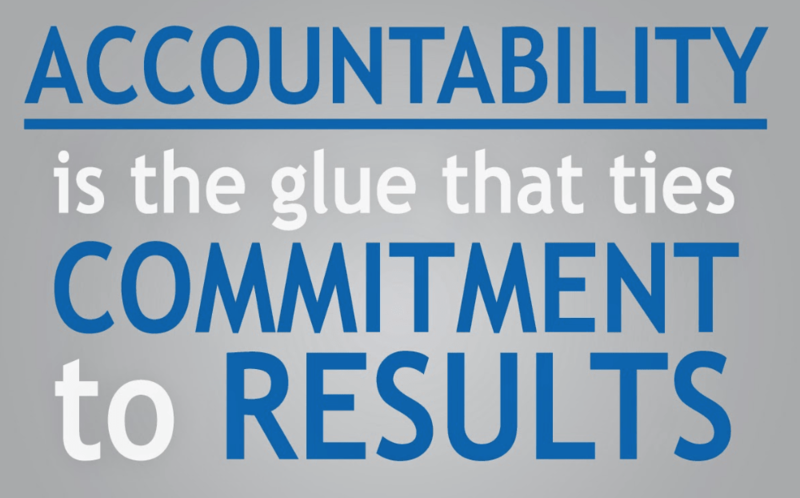 You must change the way you use accountability if you want to improve performance. What to do: Use accountability as an opportunity to measure results and coach for improvement. The key is to first make sure the employee takes ownership. Ownership is about responsibility and is heart-based, while accountability is about measurement and is head-based. When the employee takes ownership, and the leader uses accountability as a coaching tool, performance almost always improves. Accountability provokes fear in many front-line employees and professional staff when they are overwhelmed and given too little resources to accomplish the task at hand. For example, if your administrative assistant has an old computer and it breaks down, what’s the next step? Is there someone to call to fix the computer? Are there the resources to purchase a new one? Or does the assistant have to use time and energy figuring out how to fix the computer? What to do: Do a resource and knowledge audit. A simple survey asking two questions will give you want you need. Do you have the resources to do your job without struggle? What kind of knowledge do you need to help you become more efficient? 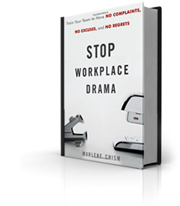 Giving employees unreasonable amounts of work without the adequate resources creates cultures of fear and deception. Employees hide their struggles to protect their job. Remember the formula: Knowledge + Resources > Fear. Assumptions are often made about the skills required to do the job. For example, hiring a college intern to put together a mailing list may sound simple. But building a mailing list requires the individual to understand mail merge, Excel or some other software system. New and seasoned front-line employees are thrown into administrative jobs without adequate training because staffing is short or it’s seasonal crunch time. Before long, the employee has been at the job for months, and the lagging performance is caused by inadequate skills development. What to do: Before hiring or promoting an employee, build a list of the technical skills, communication skills and knowledge needed to do the job. Provide the employee a trial run to see what kind of on-the-job training might still be needed. Set the employee up for success by setting expectations followed by a one-week and one-month check-in. Very often, employees are unaware of how unhappy their bosses are with their performance. Yet time and time again bosses avoid initiating performance conversations. Companies lose millions due to mistakes, dropped balls, accidents, missed deadlines, and lawsuits—all of which could be avoided if the conversation had not been avoided. Avoidance does not only belong to front-line supervisors, but also to managers, directors and all the way to the C-suite. What to do: Teach leaders at all levels the skillset, mindset, and structure of initiating performance conversations that get results. Avoidance tendencies fade away once the skill set and cultural supports are in place. It starts at the C-suite. If the executives avoid, they model avoidance down the line. Build a culture where conversations are used as a preventative measure rather than as a way to do damage control after the fact. Article originally published on Smartbrief.